I have really grown to love this time of year. It’s not too hot and not too cold most of the time and it just gives me warm and fuzzy feelings of excitement! I love to remember hay rides, pumpkins, hot cider, sweatshirts, fall decor, and this is the time when I met Kyle (we can leave that for another post). Here are some things I’ve been doing lately! 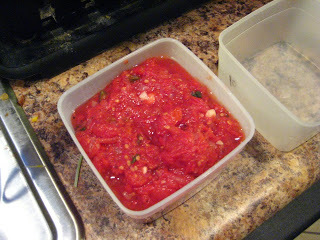 I made salsa for the first time…it was fun and yummy! 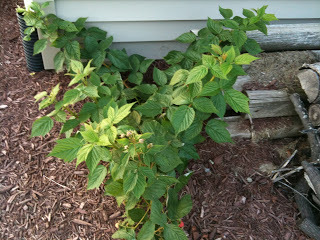 Forgot about my raspberry bush but found it. lol. Here it is. 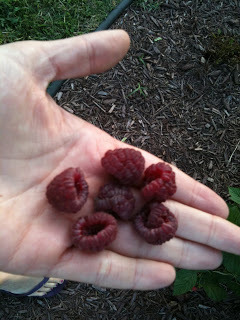 Ate raspberries off it tonight. Yum! Fresh raspberries. Best I’ve ever had! 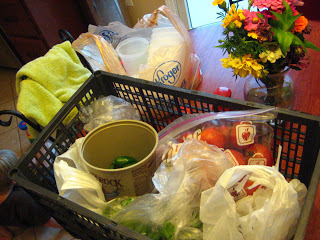 This is part of our basket of supplies for salsa making…it’s fun making homemade stuff from a garden! 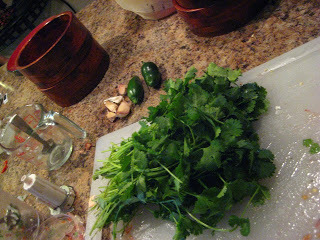 Some of our fresh cilantro. Finished product!! 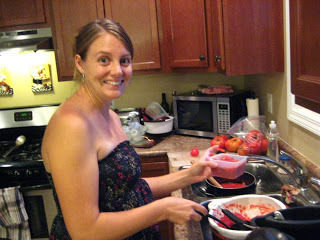 The second batch turned out better than the first…we know what we’re doing now! Delish! 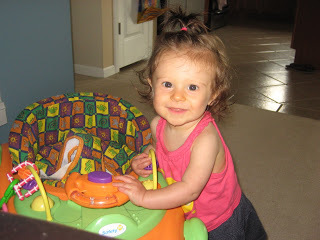 Here’s a lovely pic of my girl…had to throw this in!